Many people associate toe spreaders with pedicures and pampering, but lots of runners have started posting their post-workout regimens on social media and oddly, they include spending some time wearing toe spreaders. Toe spreaders are typically made from silicon and designed to, quite literally, space out your toes. It is suggested this helps with foot strength. A runner’s feet get beaten up, so making an effort to keep them happy is huge for injury prevention. 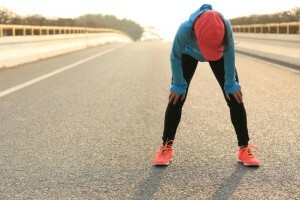 The winter can be especially hard on your feet, and the ground can be slippery, so planting and accelerating can cause running injuries that didn’t exist in the warmer months. Taking some extra time to look after your body in the winter is super important for maintaining your running health.